The Ginchmas Who-liday Spectacular is the centerpiece of the Grinchmas celebration at Seuss Landing. It’s a heartwarming live show starring the Grinch in the telling of How the Grinch Stole Christmas, and it also features a colorful cast of Who-ville residents and music recorded by Mannheim Steamroller. 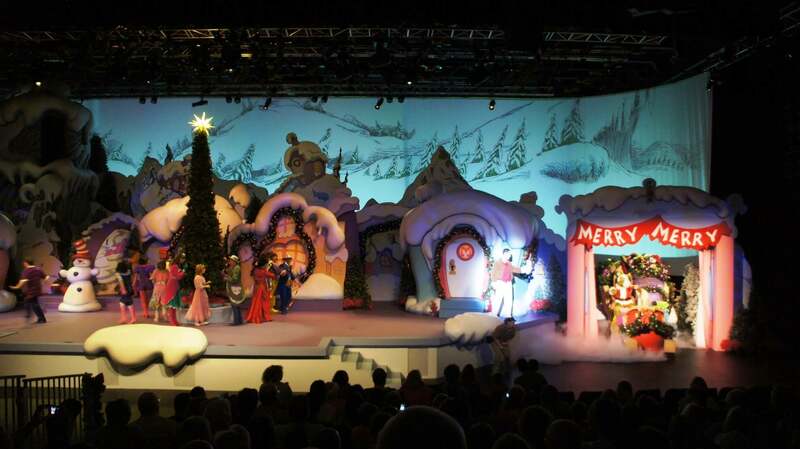 See one of the most beloved holiday stories come to life before your eyes! 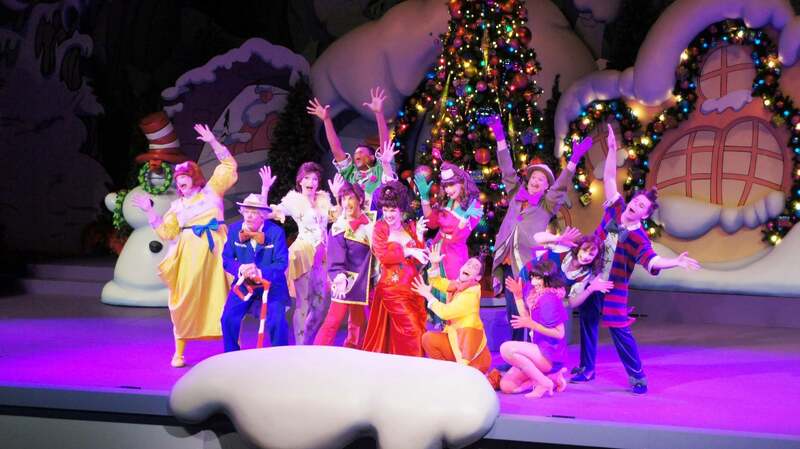 The Grinchmas Who-liday Spectacular runs every day, November 17, 2018 through January 6, 2019. 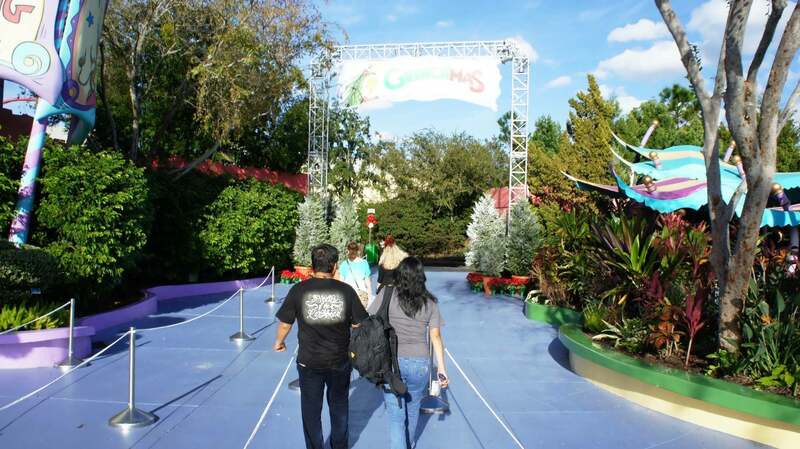 Seating for the Grinchmas Who-liday Spectacular is first come, first serve (no Express Pass access is offered, either). Depending on how busy the park is when you visit, you’ll want to get in line 15 to 40 minutes before the show is scheduled to begin. 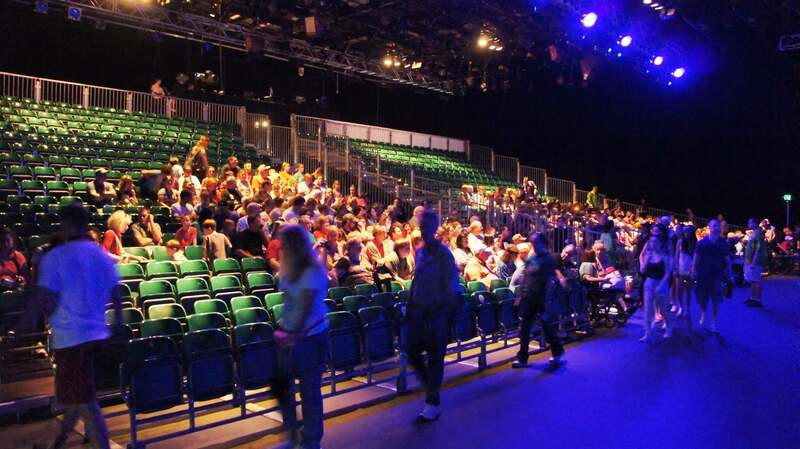 Roughly 10 minutes before the start time, guests are led from a queue area inside Seuss Landing (next to the Circus McGurkus quick-service restaurant) to a soundstage located between Islands of Adventure and Universal Studios Florida. Technically, you’re not allowed to take photos backstage, but the team members tend to be fairly lax about this restriction during the holidays. So be sure to look to your left as you’re entering the clearing because you never know what (or who) you might spot! The truth is, given the position of the bleacher seating, there really isn’t a bad spot. 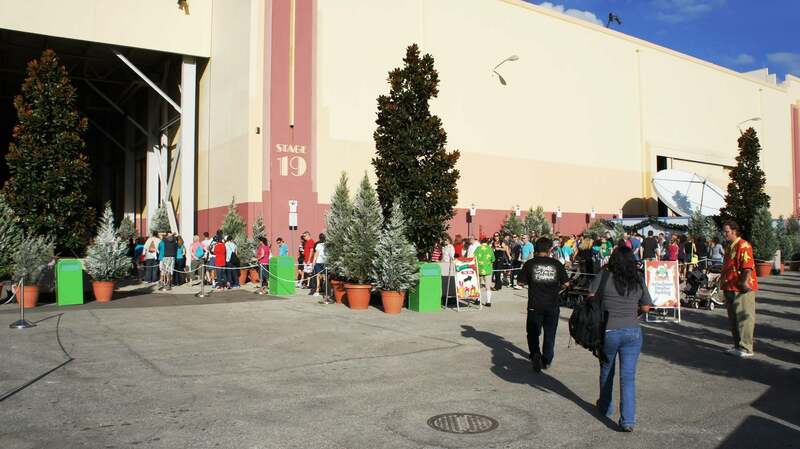 And now, perhaps, the most important tip of all: there are no restrooms available at the soundstage, so be sure you go before you get in line! 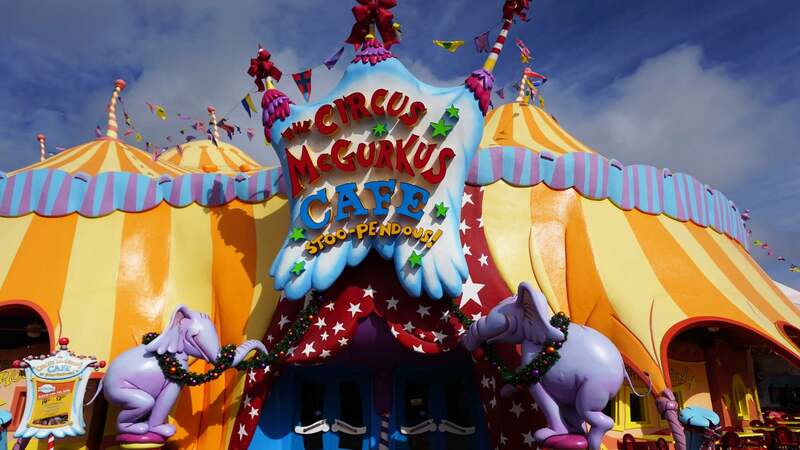 Once the show is over, you’ll exit back to the same area in Seuss Landing where you queued. There are no photo ops available after the show, but, as we mentioned on our main page, the cast does wander through Seuss Landing at many times throughout the day – the big man himself, for example, has his own scheduled photo-op times in the Seuss Landing bookshop (see your in-park guide map for times).